12.9″ iPad Pro owners received an added bonus as well, that being able to take advantage of the iPad Pro’s USB 3 transfer speeds. 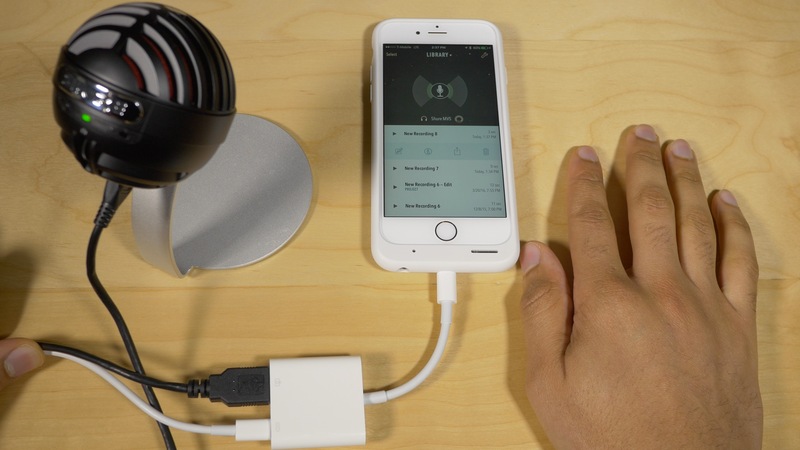 All of this considered, is the Lightning to USB 3 Camera Adapter a worthwhile investment? Unlike the standard $29.00 Lightning to USB Camera Adapter, this new USB 3-enabled adapter features a Lightning input for powering the device. This means that, in order to truly take advantage of the adapter, you’ll need to mate it with a Lightning cable (not included). Having a powered adapter allows you to circumvent the annoying The connected device requires too much power error message that pops up when plugging in devices that need too much juice. With the new Lightning to USB 3 Camera Adapter, that message will generally be a thing of the past, at least with supported iPads. Apple states that the Lightning to USB 3 Camera Adapter works with both the 12.9″ iPad Pro and the just-released 9.7″ iPad Pro. There is a difference, which could be a deal breaker for some, in that the 9.7″ iPad Pro only supports USB 2.0 transfer speeds. That’s a bummer, especially if you’re purchasing this adapter for transferring large photos and videos to your iPad. As mentioned, the only device on this list that supports USB 3 transfer speeds is the 12.9″ iPad Pro. As usual, my curiosity got the best of me. I wanted to see how the adapter worked on the iPhone, especially when it came to powering a USB microphone that normally presented me with an error message when trying to connect it with the old Lightning to USB Camera Adapter. I connected my Shure MV5 microphone, which actually features a Lightning cable and supports iOS devices natively, but can also be used with a standard USB cable. If you connect via the old adapter using its USB cable, iOS presents the “too much power” error message. When connecting the Shure MV5 to the new Lightning to USB 3 Camera Adapter, I still got the error message, but only briefly. The error message flashes on screen, but quickly goes away, allowing me to use my microphone on the iPhone as well. Obviously your mileage may vary with this, as Apple isn’t officially supporting it, but I was able to use my USB-powered microphone with no issues. 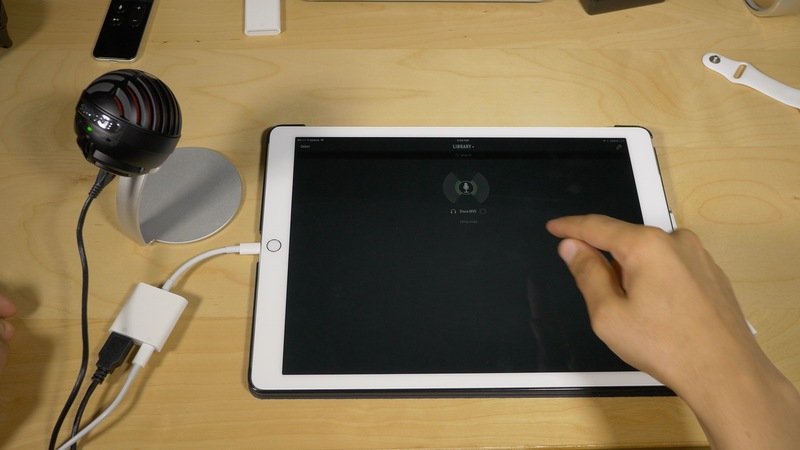 If you own a 12.9″ iPad Pro, the Lightning to USB 3 Camera Adapter increases the throughput for transferring photos and videos to your iPad. As long as your source is USB 3, you’ll notice much-improved transfer speeds. Although my available USB 3 devices are limited, I was able to test the difference between a USB 3 file transfer on my iPad Pro versus a USB 2.0 transfer on my iPhone. The difference, as expected, was noticeable. I was able to transfer ~4.1GB of video between my iPad Pro and my USB 3 flash drive in about 66 seconds. The same transfer took 151 seconds on my iPhone 6s. That difference in speeds won’t blow you away, but if you’re someone who works with large photos and videos on a regular basis, the time saved will definitely add up. 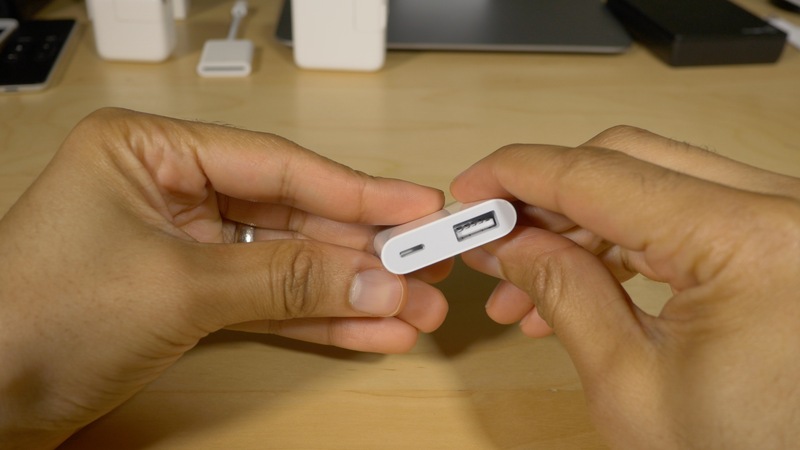 Remember that you can also use Apple’s Lightning to SD Card Camera Adapter for increased throughput with SD Cards. Like the Lightning to USB 3 Camera Adapter, throughput increases are limited to the 12.9″ iPad Pro. Apple’s main reason for producing such an adapter is geared towards transferring photos and videos to the iPad. That said, Apple’s SVP of Worldwide Marketing, Phil Schiller, made it clear that Apple was willing to cater to podcasters and others looking to connect USB devices to their iPads. If you own a USB microphone without a powered Lightning connector, then the Lightning to USB 3 Camera Adapter is a no-brainer. Many of the best USB microphones out there aren’t supported natively on the iPad via Lightning, but with this new adapter, support is just a $39.00 purchase away. As Shawn mentions in the comments, however, the microphone will still need to be “Class Compliant” or “iOS Compliant”. Many of the mics/interfaces that I figure most iOS podcasters will be using, such as the Blue Yeti, Shure MV5, Apogee, and FocusRite Scarlett series are supported. If you take lots of photos and videos and wish to edit them on the 12.9″ iPad Pro, the Lightning to USB 3 Camera Adapter is easy to recommend. This device makes it possible to transfer photos and videos at high speeds between your iPad Pro and camera or flash media adapter. If you own a 9.7″ iPad Pro or lesser, and media transfer is your only reason for purchasing this adapter, the lack of USB 3 support is a bummer, but you might still benefit from having the option to add power to the adapter via a Lightning cable. If you’re a podcaster, and you’re looking to drive a power-hungry microphone, then the Lightning to USB 3 Camera Adapter is a must-have accessory; it’s as simple as that. This new adapter plays nice with iPads, and as I joyfully discovered, it can even work with iPhones.